All of a sudden your cat is not using their litter box. Now they’re using the carpet, your clothes, or even your bed as their bathroom instead. Unfortunately, for cat parents this is a common problem. Feline inappropriate elimination (FIE) is the number one reason cats across the country are surrendered to shelters. So what do you do when your cat stops using the litter box? First things first, when your cat goes outside their box – you’ll need to clean it quickly and clean it well. Not to stress, there are cleaners designed just for this. Though you may feel a freak out coming on, keep calm around your cat because increased stress can make the problem worse. Cat pee has a reputation for destroying clothes and carpets due to its strong ammonia smell. When cats come in contact with this smell, whether it is from them or another cat, they may be driven to mark that area with urine again. This is why it’s important to use a cleaner with enzymes to break down the urine and get rid of any residual odors. 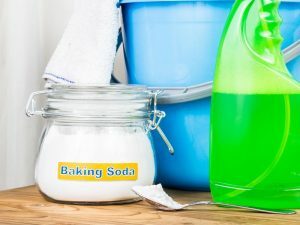 If you notice any residual smell, rub some baking powder into the fabric or carpet and let it sit for a few hours before cleaning. Once you’ve cleaned up — these four steps can help you hone in on the reason your cat is going outside of the box. There are a number of reasons why your cat may stop using their litter box. 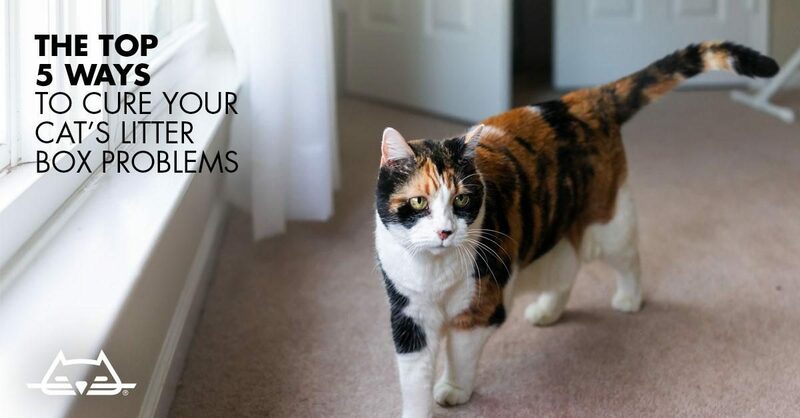 So take a moment to check whether any changes have been made in your household recently, whether it’s switching to a new brand of litter, inviting someone new into your home, or even a temperature change as any of these can affect your cats behavior. If you are able to discern a possible cause, try changing back to your regular routine to help your cat feel more comfortable. If you’re unable to figure it out, get in the car and head to your vet. If there’s no obvious behavioral cause, try consulting your veterinarian. 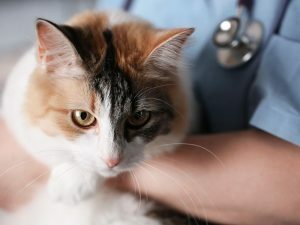 FIE is often a symptom or side effect of a medical condition, so if you think something serious is going on, be sure to bring your cat to the vet. 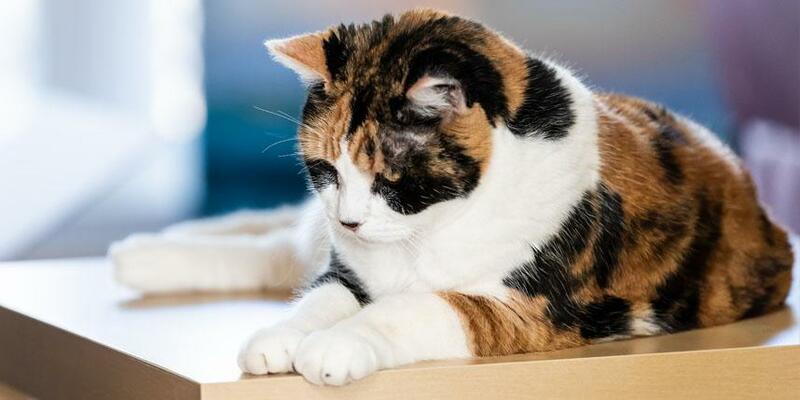 Your veterinarian can help to diagnose or rule out medical conditions as the cause of the issue, and provide treatment to help treat the cause and help your cat feel comfortable using their box again. If you don’t have a vet, use this helpful Vet Finder. 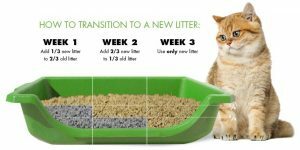 Over the process of a few weeks, slowly transition from your old litter to a litter with an attractant designed to draw cats to their litter box. 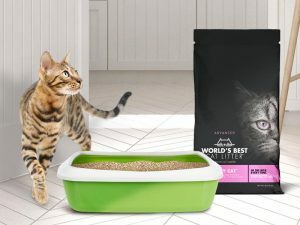 When looking for a cat-attracting litter, check to make sure that the attractant is natural, plant-based and developed in partnership with pet behaviorists, like World’s Best Cat Litter™ Advanced Series Picky Cat™. 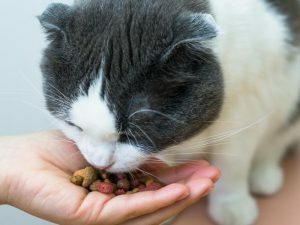 In order to help your cat associate their litter box with a positive outcome, offer them treats and encouragement after they successfully go to the bathroom. This will help your cat to view their box as a happy, safe place and encourage them to use it to do their business. 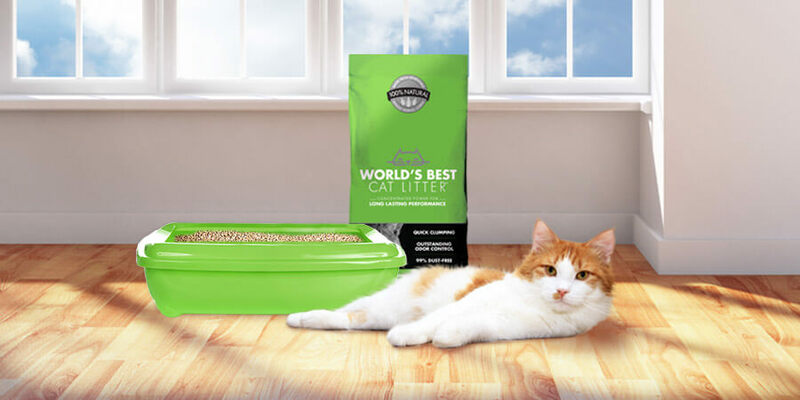 At World’s Best Cat Litter™, our goal is to help keep more cats in their forever homes and out of shelters. That’s why we created a litter with an added plant-based attractant to draw cats to their litter box and prevent feline inappropriate elimination. To learn more about Picky Cat™, click here. Want to know how to keep your cat going in the box every time? 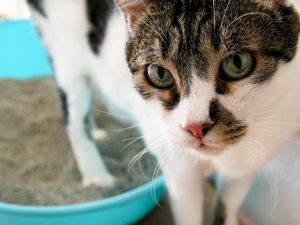 Learn how to fix your cat’s litter box problems and why it happens, then try these five tactics to help cure your cat’s litter box aversion.